• This 13 watt 5" and 6" downlight module is for both new and retrofit construction. • One of the Highest CRI on the market...(CRI) is a scale from 0 to 100 percent indicating how accurate a "given" light source is at rendering color when compared to a "reference" light source. With a higher CRI, the better the color rendering ability and a more realistic look. • No mounting spring conversion necessary ready to fit in either 5" and 6" LED housing cans. It installs easily in most standard five inch and six inch recessed housings, including IC and non-IC units. • The unit generates warm light with built-in LEDs that offer a natural warm light with high energy savings. 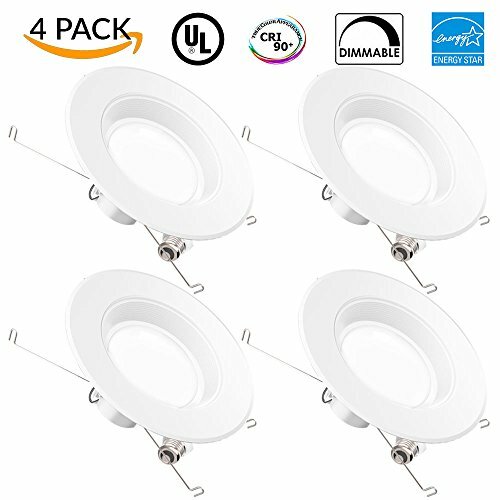 • This design is also conveniently affordable, making it our best and most competitive 5/6" LED retrofit kit on the market.